Currently Pinterest doesnot provide an official API to track statistics and insights. Using PinAuthority individuals can track their Pinterest campaigns. 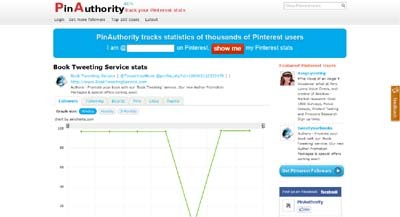 The PinAuthority score can be used to compare the Pinterest influence of people.